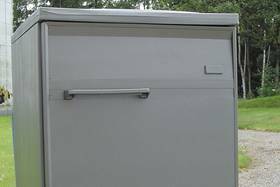 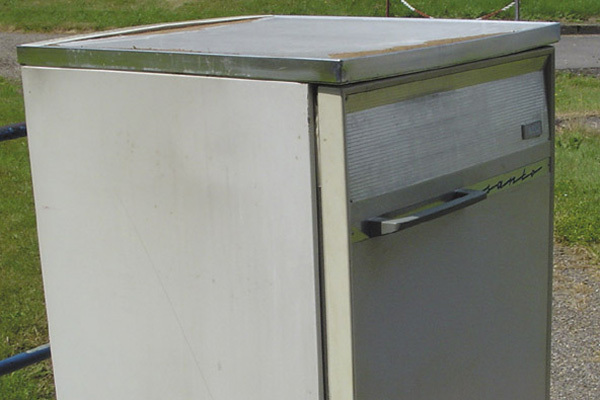 You will need to completely restore the front of your refrigerators if it has been damaged all over. 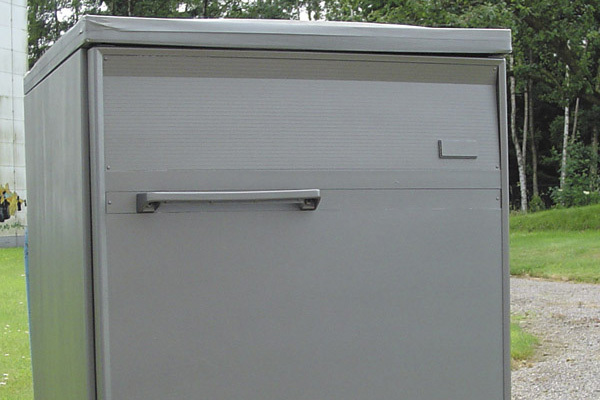 Repair the powder-coated surface with NC-Combi-putty. 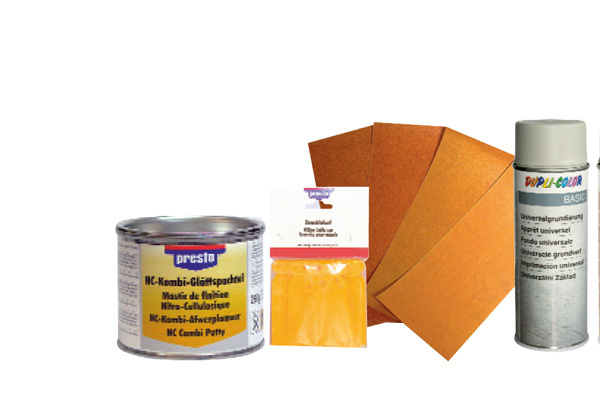 Once the filler has dried (2-3 hours depending on the layer thickness) sand down with fine 400-600 grit wet sandpaper. 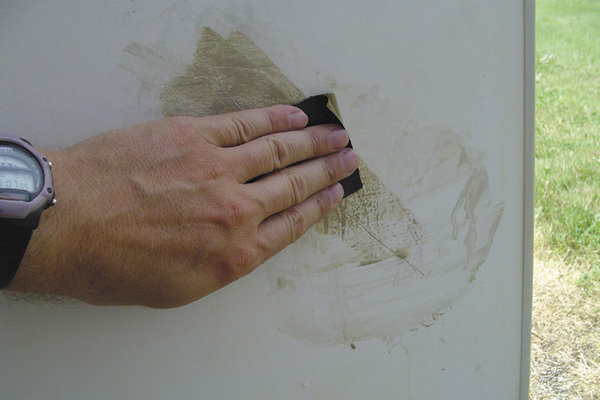 Then thoroughly clean and dry the sanded area. 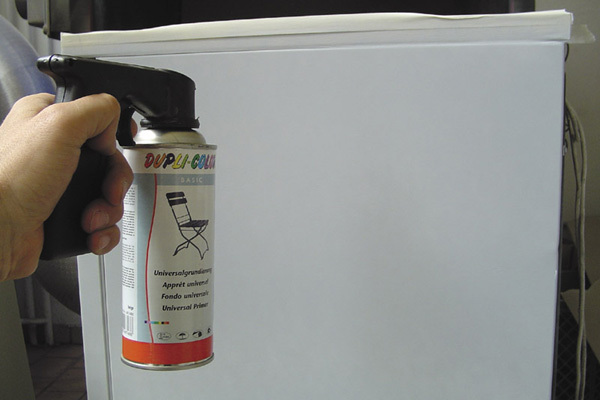 Finally, prime the whole area DUPLI-COLOR Universal Primer. 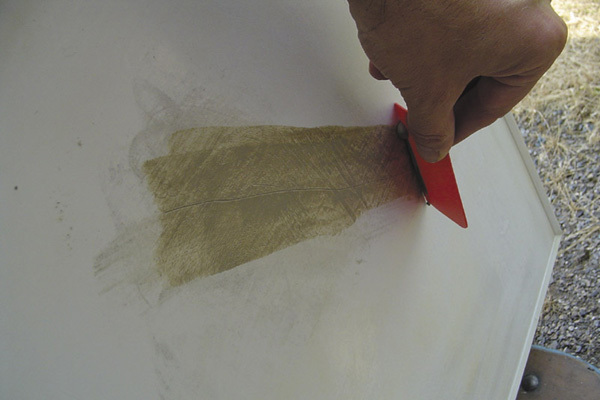 After 10-20 minutes, paint the surface with several layers of your chosen colour with our example Inox Spray.